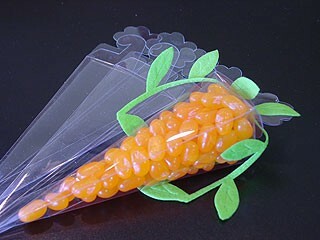 These darling carrot boxes make a few orange jelly beans look great! Add a little green ribbon and a cute stamped tag and you'll have a fun Easter gift. Dimensions are 1.5" x 1.5" x 6".